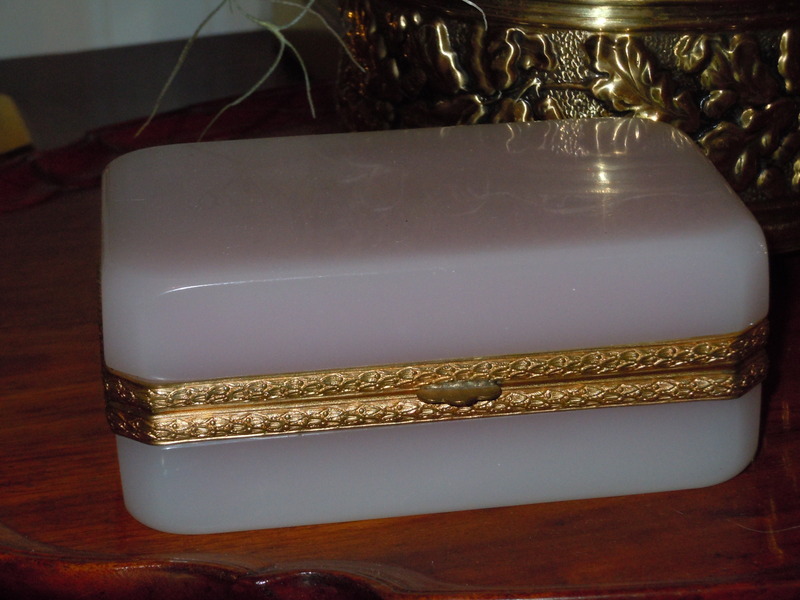 French opaline and crystal boxes are fascinating. I have collected a few clear cut crystal boxes with beautiful gilt dore mounts, but in the last few years I have become more interested in the colored boxes. The first colored box I selected has very smooth and simple lines. The color is a soft pink. The array of colors is almost limitless. I am contemplating adding to the collection, but what color? Lavender? So many choices! Originally these boxes were thought to have been to store tea or sugar. The boxes with keys were obviously housing something precious! Later boxes were made in this style for trinkets or jewelry. Boxes beg to be opened. Remember Pandora? As a decorative accessory they finish a carefully designed room with perfection (no such beauty can be found at Home Goods or in the stack of ‘Made in China’ reproductions!) But more importantly they harken to a time in history when craftsmen were employed to produce one of a kind hand-made objects to delight the eye with their beauty. Now how to build my collection – choices, choices! Working with antiques every day provides a plethora to choose from! Not quite as serious as the choice we will be making in November, but still one that deserves careful consideration! 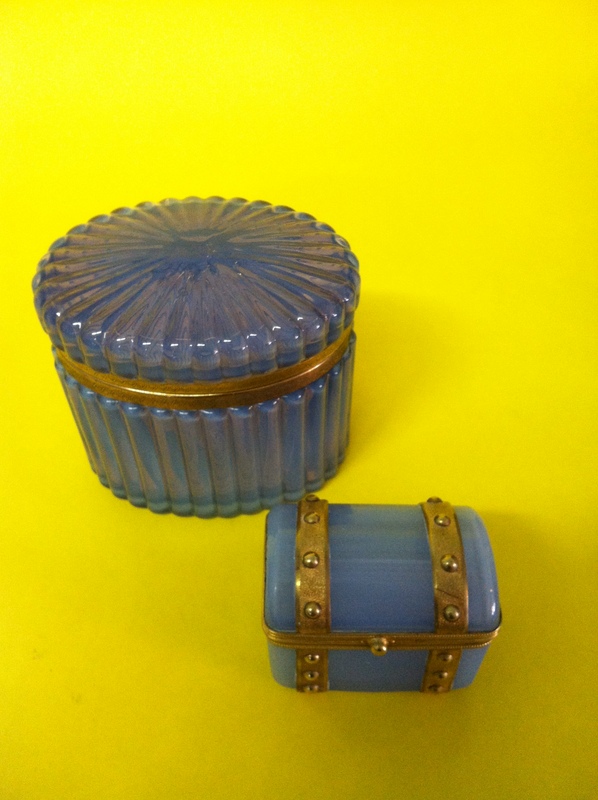 This entry was posted in Uncategorized and tagged Antique French crystal boxes, opaline boxes. Bookmark the permalink. I like your blog and I like this post. 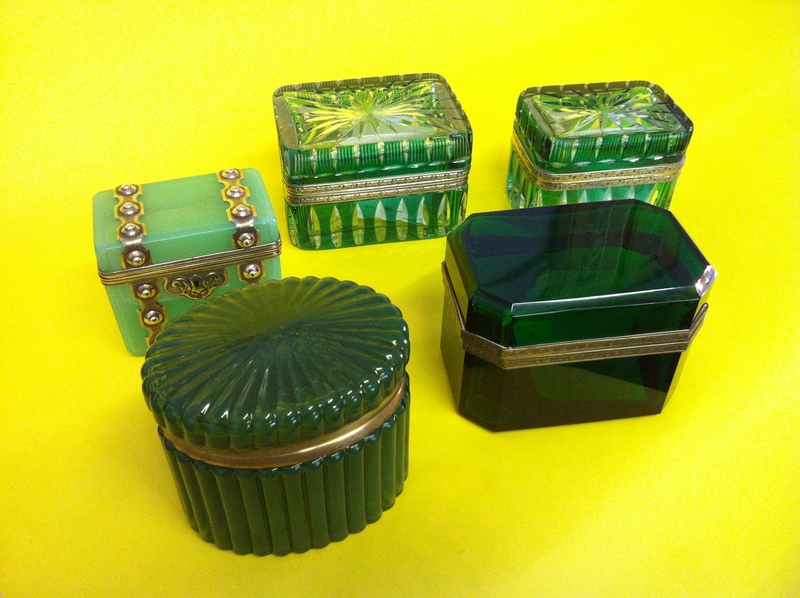 I particularly like those two green crystal boxes at the rear of your last photo. I fear you may have created a rival in your hunt for French antique crystal boxes!